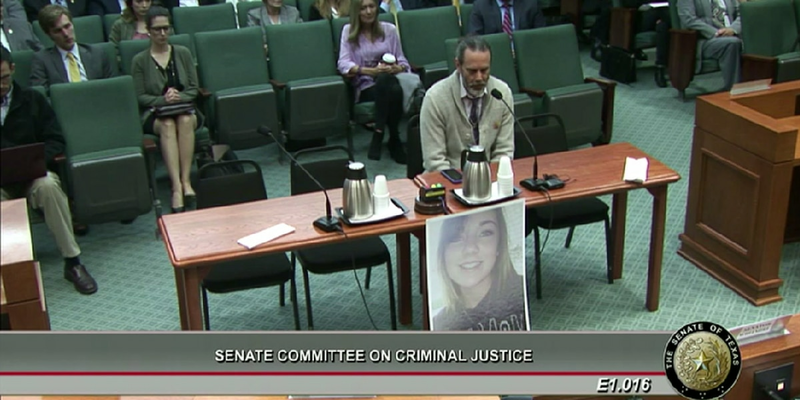 Vern Landavazo, Lauren's father testified before the Texas Senate Committee on Criminal Justice about Senate Bill 719. AUSTIN, TX (TNN) - Senate Bill 719 passed the Texas Senate on Tuesday. It’s better known as “Lauren’s Law” in the Texoma area. The parents of 13-year-old Lauren Landavazo, who was shot and killed in 2016, have been behind it since she was murdered. The Senate vote was unanimously in favor at 31-0, according to Bianka Landavazo. The bill would allow prosecutors to charge someone with Capital Murder is they kill a child age 14 or under. Right now, Texas law only allows Capital Murder if a child 10-years-old or younger is murdered. A Texas House version is expected to be voted on as well.